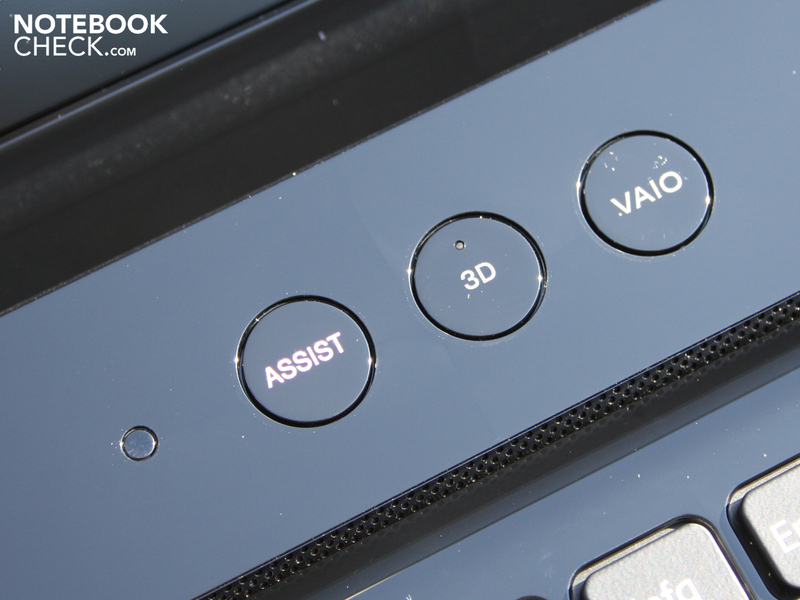 3D Vaio. 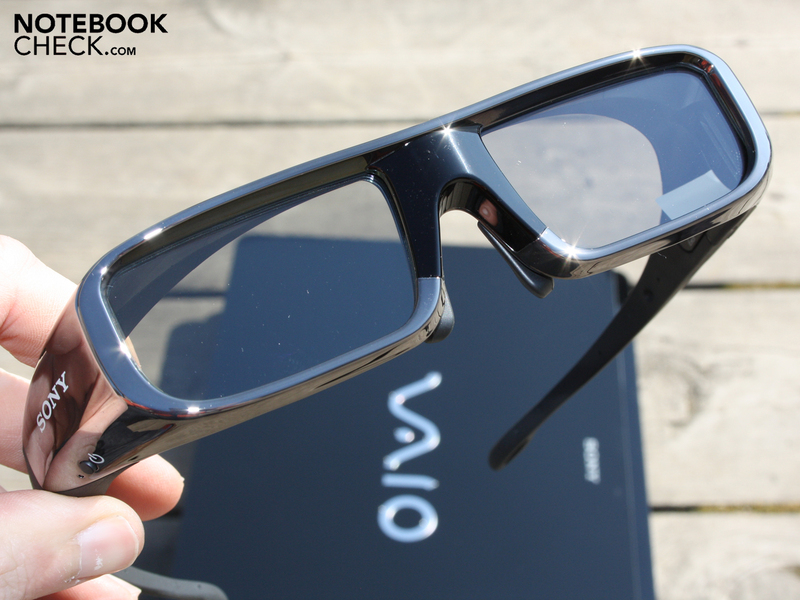 Sony Vaio's leap into the 3D world gives reason for excitement thanks to F21's perfect full-HD display and its undimmed 3D picture. The level of craftsmanship and choice of materials used for the case don't quite meet the demands of the premium sector, however. 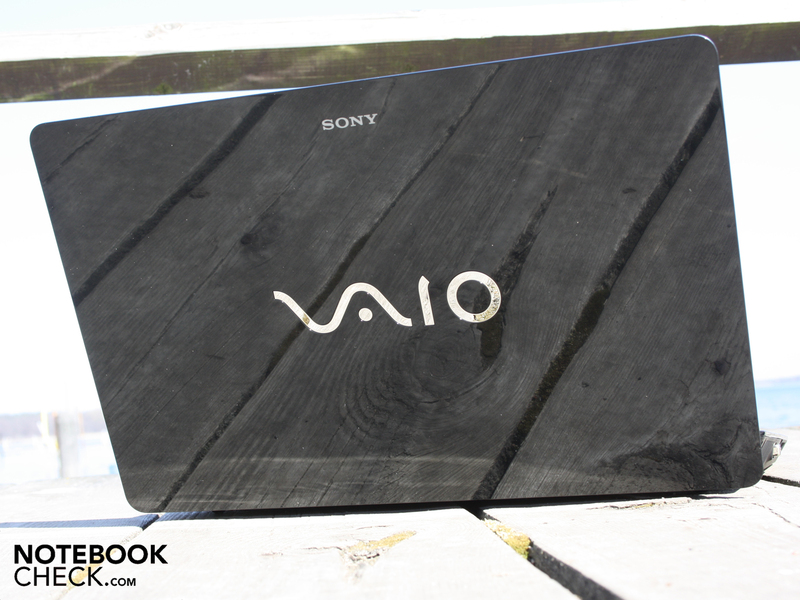 Vaio VPC-F21Z1E/BI: Does the 3D-ready Vaio profit for Sony's experience in making quality entertainment products? Laptop manufacturers have been working hard sorting out the kinks when it comes to 3D effects in the past two years. Select models were equipped with 3D technology. Acer brought the Aspire 5745DG (10/2010) to the table, Asus made an appearance with the G51J 3D (12/2009). HP threw the Envy 17-1190eg in the ring—although it has been rather hard to find for sale. Today, Dell (XPS 17, Alienware M17x R3) and Asus (G73SW) have also made their way onto the 3D market. Not every 3D laptop was a success regarding its 3D effect. 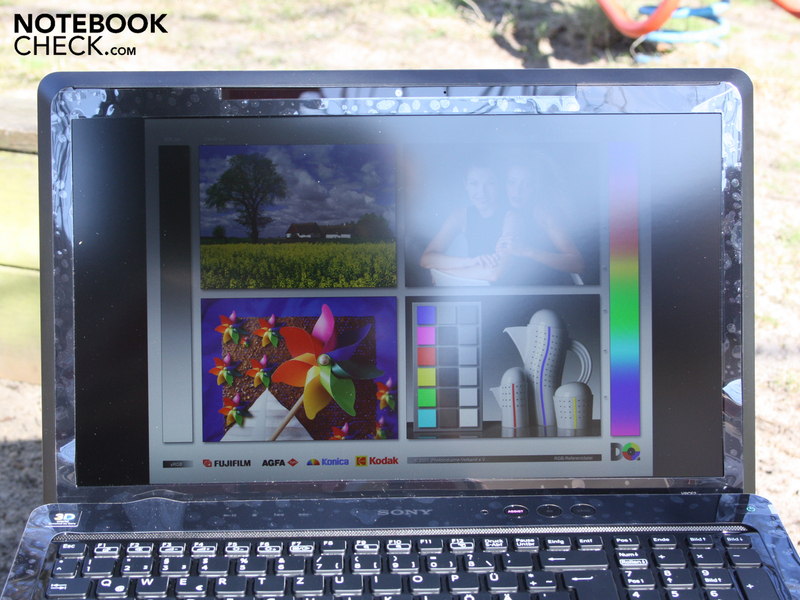 Acer's attempt in 2009 with the Aspire 5738DG had the right price tag of around 800 Euro to it but was doomed to failure because of its premature 3D effect (polarization glasses, dimming). The other models mentioned above were equipped with Nvidia 3D Vision, which fixed many of the weak points—the techology grew to become well-established (although still producing a dimmed picture most of the time). Now Sony is stepping onto already well-tested terrain, using the virtually standard Nvidia Vision 3D technology. The Vaio VPC-F21Z1E/BI claims to bring the 3D Blu-Ray and 3D gaming experience to the living room. But is the price of around 1,950 Euro for the entire package justified? The bulky look of the 16" F21 strays far from the design of 2009 and 2010 Vaio models. The cylinder look for the display lid hinges is no more, the power button once again finds itself above the keyboard. The design takes on a strange appearance when looking at the notebook from the side, the display lid seems to sit slightly askew atop the bulky, wedge-shaped base unit. Beauty and grace are not quite the words to describe this 3.17 Kg colossus. Power and sturdiness make for a better description. This is especially true when it comes to the base unit, which is stiff as a board. Only beneath the DVD drive did we manage to press the case in significantly. The display lid—on the other hand—is disappointing: its surface lends itself to effortless denting (upon pressure, temporary). Grabbing the display lid at the corners with two hands, it can easily be warped. The low-mounted display lid makes a stylish impression, but its bottom edge comes within millimeters of hitting the table when open. 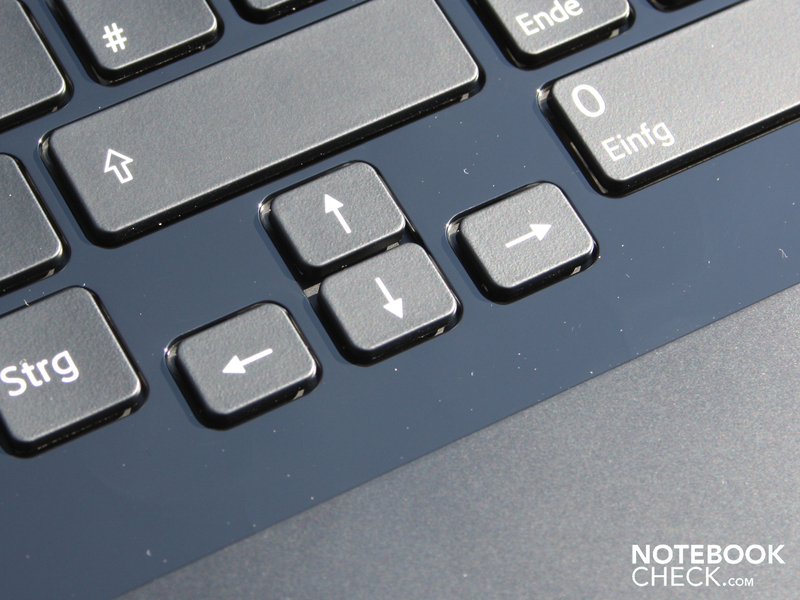 The result: when shifting around the laptop, the edge constantly scratches against the surface that the laptop sits on. We can't quite understand why Sony has gone against the trend of using matte case surfaces and chosen the glossy smeared finger-grease look. We won't get into much of an explanation of the resulting problems, suffice it to say that the glossy border around the keyboard and the around the palm rest is not exactly practical. 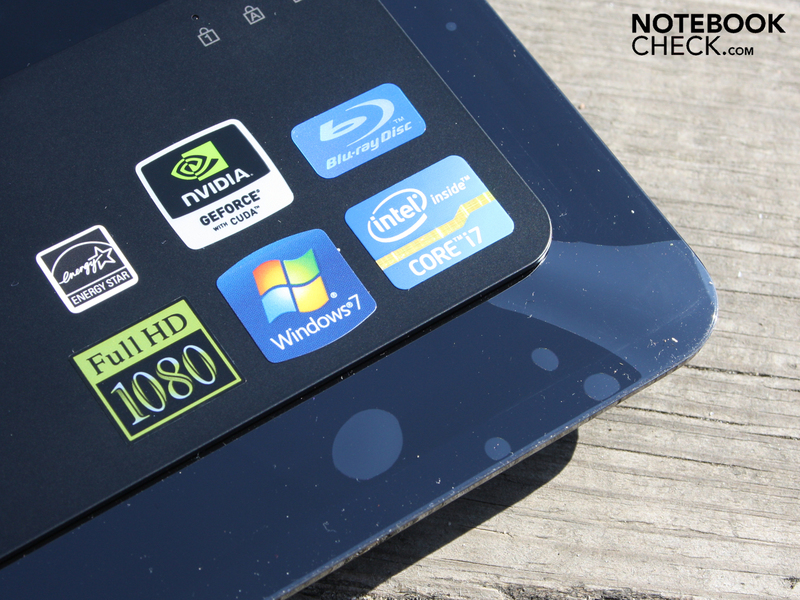 These surfaces are scratch-prone and illuminate rather than hide fingerprint marks and smears. The matte, plastic palm rest does serve to improve the situation, however, minimizing contact with the surrounding glossy surface. 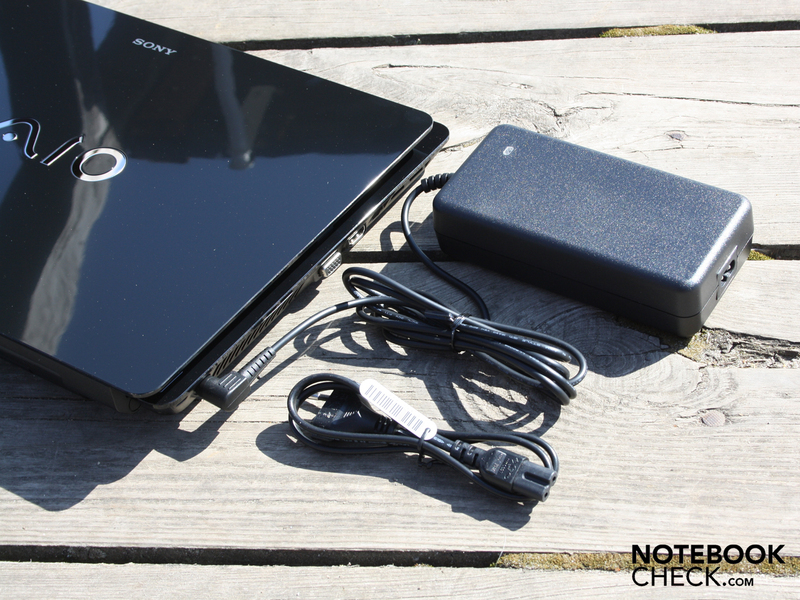 The Sony Vaio F21 has a good amount ports but not quite enough to be called extensive. Traditional ports like eSATA and ExpressCard34 are no longer on board. This might frustrate more demanding users who can no longer use their eSATA external hard drives nor use them by attaching the appropriate ExpressCard controller. The FireWire port remains, allowing for camcorders or combination eSATA/FireWire external HDD solutions to be connected. The placement of ports could not be worse. Having all the ports shifted toward the front can hinder placement of an external mouse. 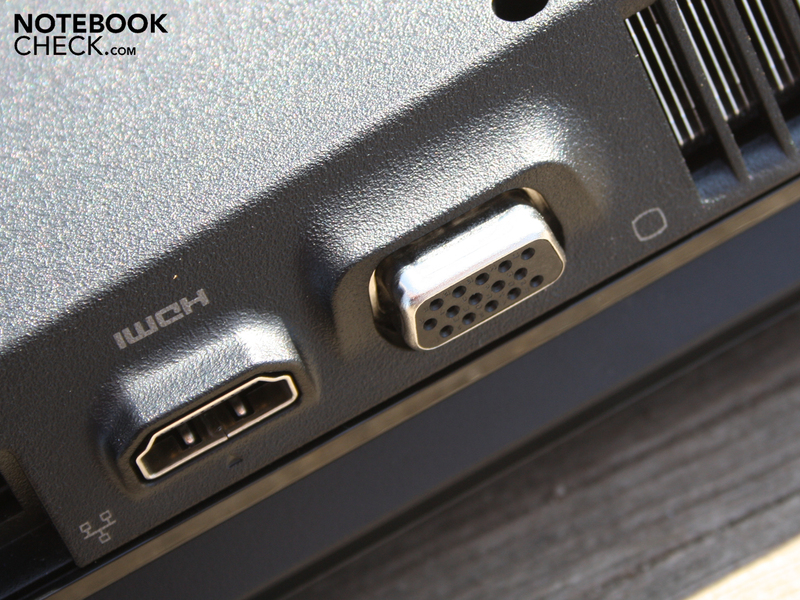 Those having to deal with thick, unwieldy VGA, HDMI, Ethernet or USB cables will sobbingly wonder why these ports weren't relegated to the back. Particularly thick cables like VGA and HDMI really could have benefited from placement at the back of the laptop. 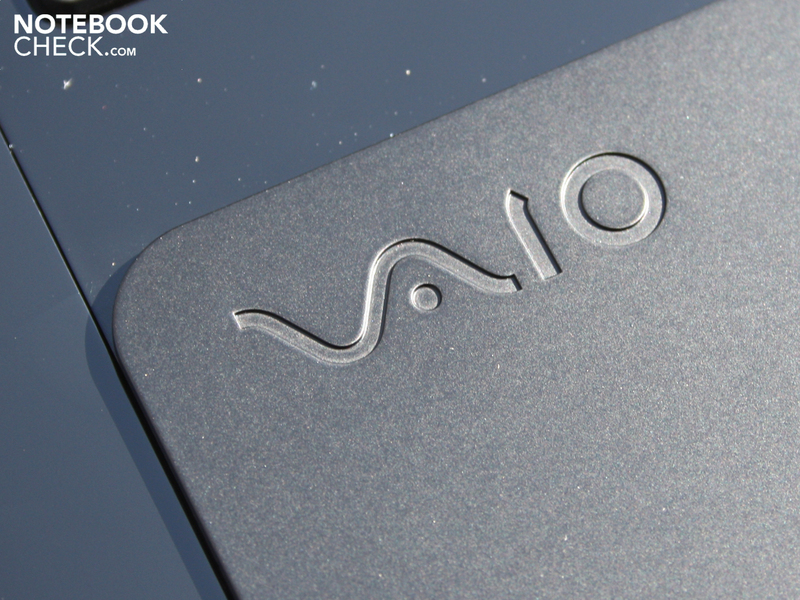 The card reader (SD and HG Duo) is found along the front edge, as is typical of Vaio laptops. 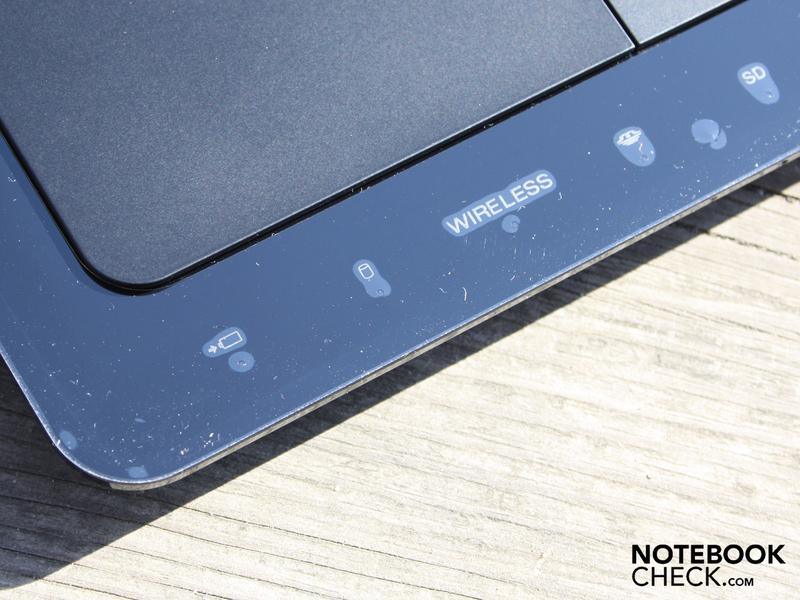 Here you'll also find a switch that (de)activates the wifi card—useful in some situations. The Wifi comes courtesy of Atheros and is of the highest current standard: Draft-N (AR9287). A Bluetooth module is built in to the wifi card and supports the newest 3.0+HS standard. The Realtek Ethernet adapter can send and receive data by the gigabit. No recover discs are included, only a quick start, recovery and service guide. 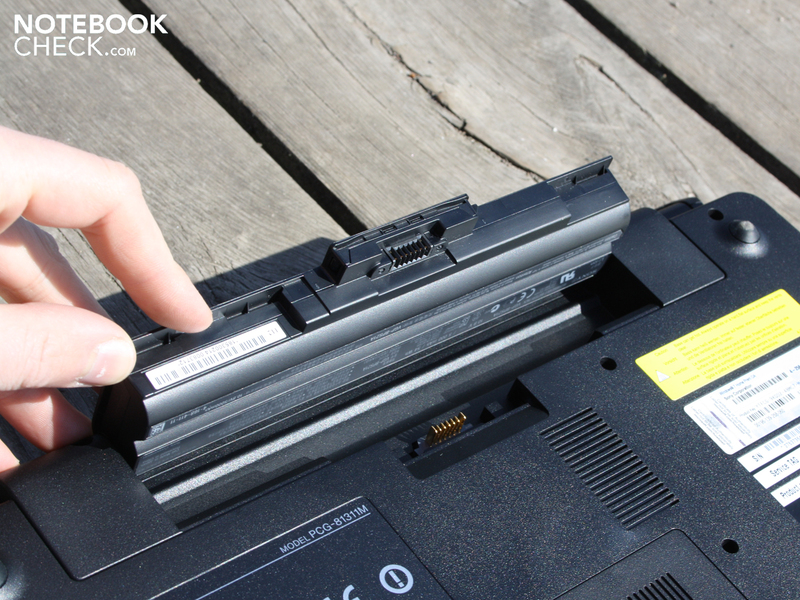 The task of burning a recovery disc is placed squarely on your shoulders (via Vaio Assist). 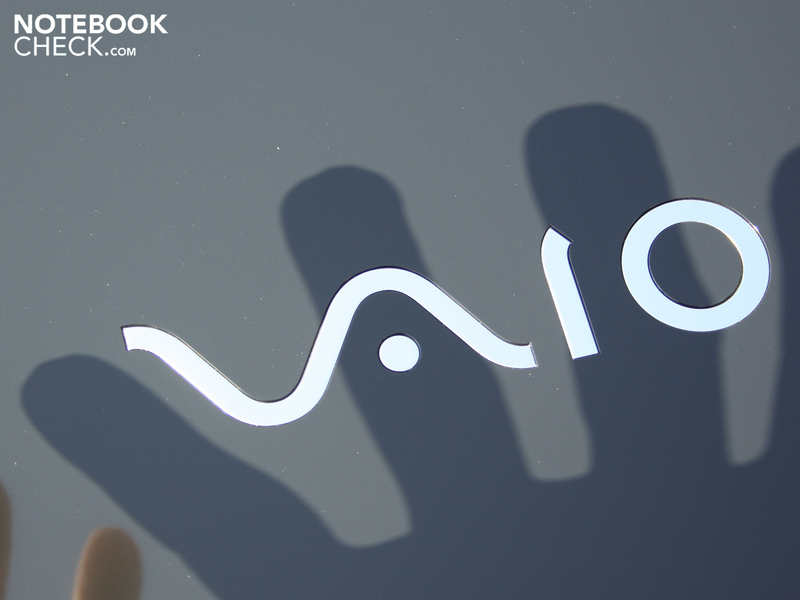 The hard drive is littered with countless Vaio tools and programs. Experienced users will want to get rid of most of these. Included is, of course, the 3D shutter glasses, TDG-BR100 (identical to those used with the Bravia 3D TV). 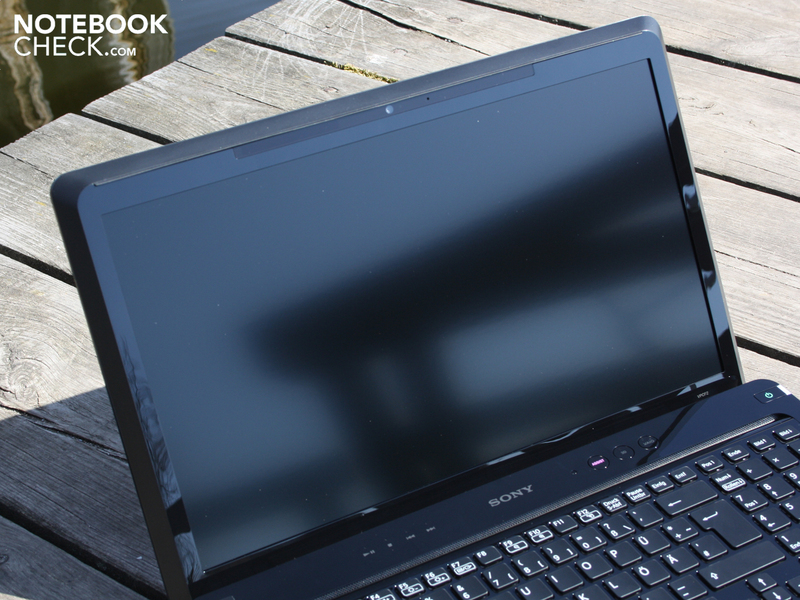 Sony gives the Vaio F21 24-month bring-in warranty. 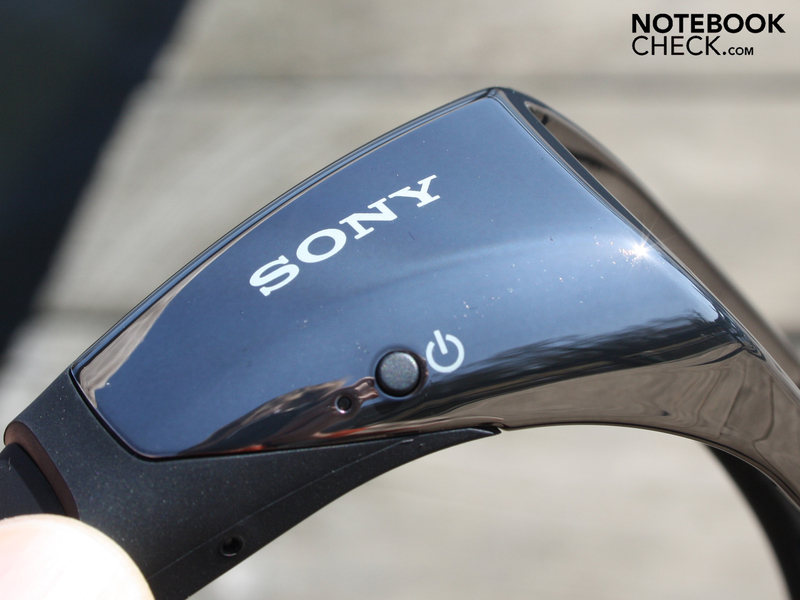 As is typical of Sony, this warranty consists of a 1-year base warranty plus a 1-year additional warranty. In some cases, buyers must register in order to be ensured the full 24 months of coverage. 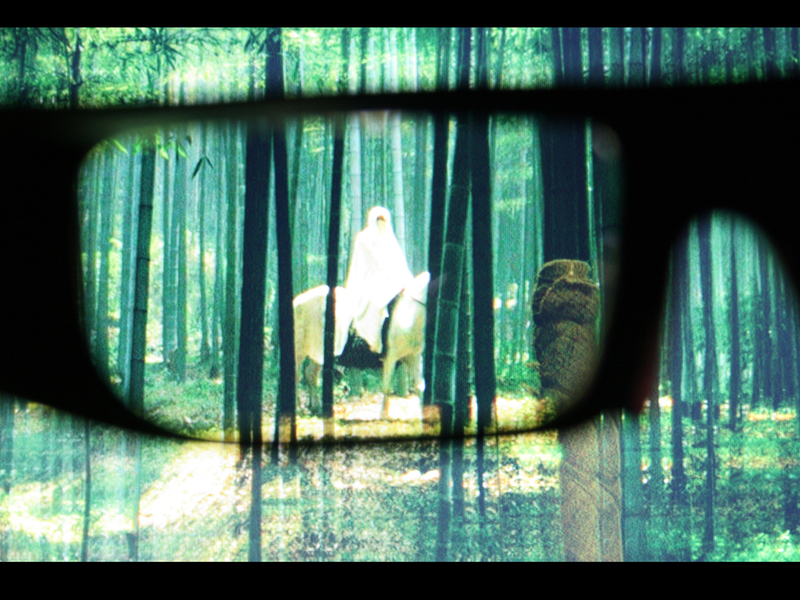 The Nvidia 3D concept based on the principle of stereoscopy is nothing new, so check out the Article discussing Nvidia 3D Vision for an in-depth analysis of its pros and cons. The shutter glasses alternately darken one len, making each half-picture visible only to the one eye (using an IR emitter in the display frame). A (minimum) 120-Hz display is necessary (each half-picture refreshing at 60 Hz), which is why 3D Vision doesn't always work with any Nvidia notebook by just attaching a USB transmitter. Sony bumps it up a notch to 240/200 Hertz (@1080p, High Frame Rate-Technology). 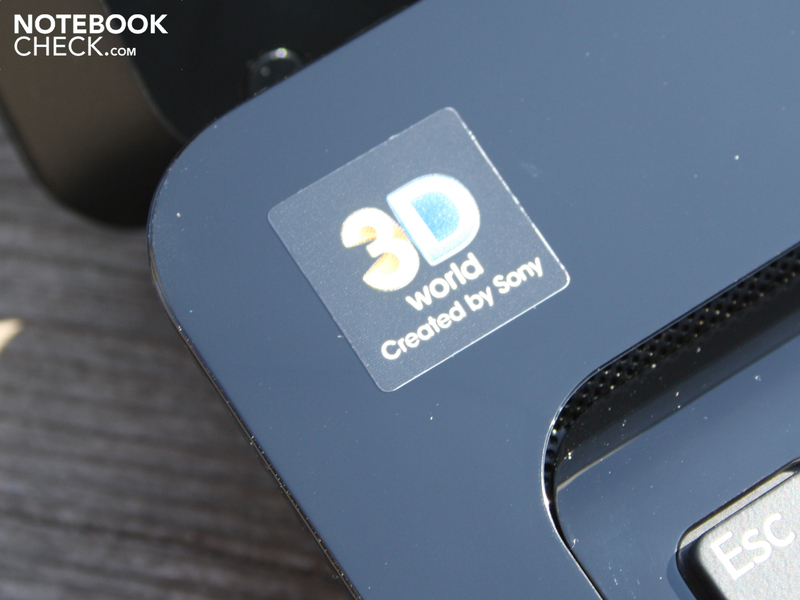 Using 3D vision is simple, all the 3D settings are already active and can be changed via the Vaio Control Center. Those wanting more control over the 3D effect can also adjust the 3D depth here. All that's left is to start the game (or particular benchmarks for that matter). For viewing pictures, however, you do need the 3D Vision Photo Viewer (stereo files like jps, pns). The Corel Win DVD/Blu-Ray player (Stereoscopic Player) can play ordinary DVDs and Blu-Ray discs in 3D. If using Windows Media Player instead, the 3D effect is greatly reduced. How long the battery in the shutter glasses (3V coin battery) keeps going we can't say. 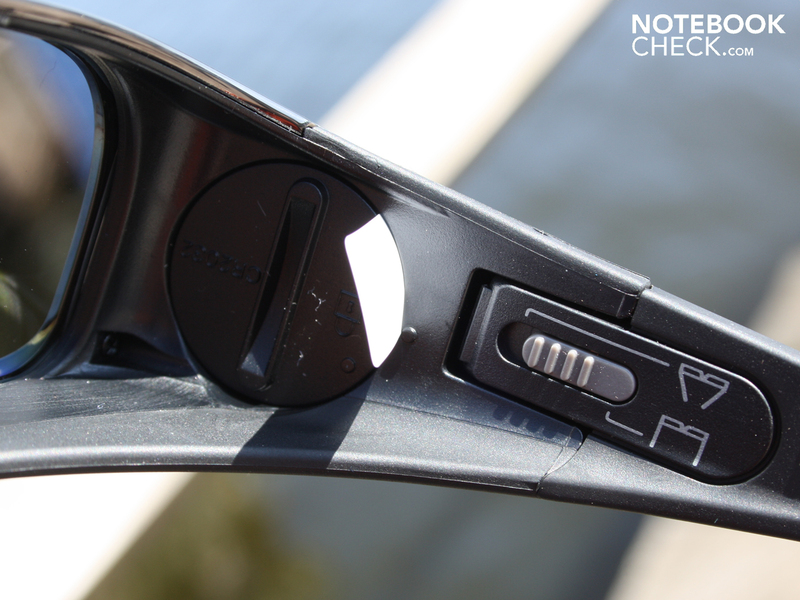 Glasses with a charger, like those coming with the Acer Aspire 5745DG, would be more convenient. 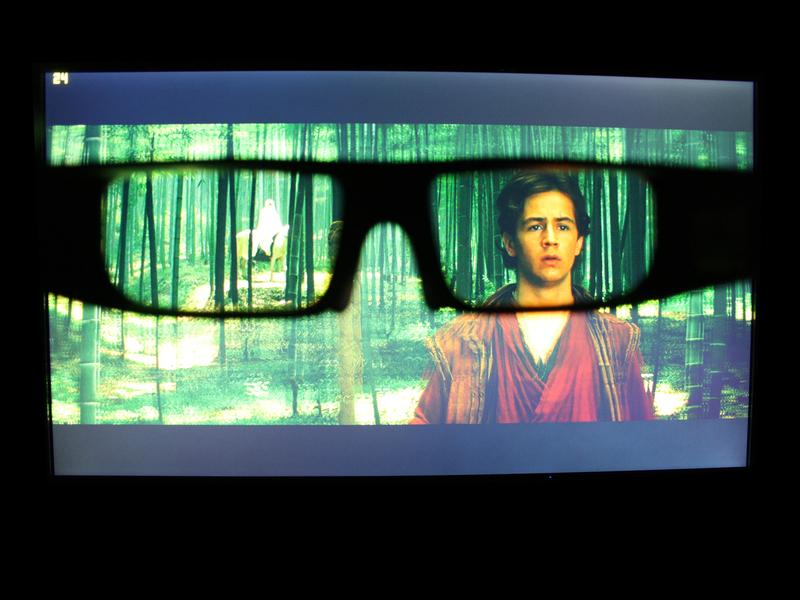 Until now, the big problem with 3D Vision was the reduced picture brightness. Sony seems to have brushed that concern aside, the reduction in brightness is now marginal. On top of that, the screen has a high maximum brightness of 289 cd/m², which can be turned up if need be. The shutter glasses fit over other glasses—there's plenty of room inside. For children, the hinges can be locked in place at a smaller angle so that the glasses fit well. ...the ordinary Blu-Ray becomes 3D. The effect is noticeable even in the background. The brightness level hardly drops. 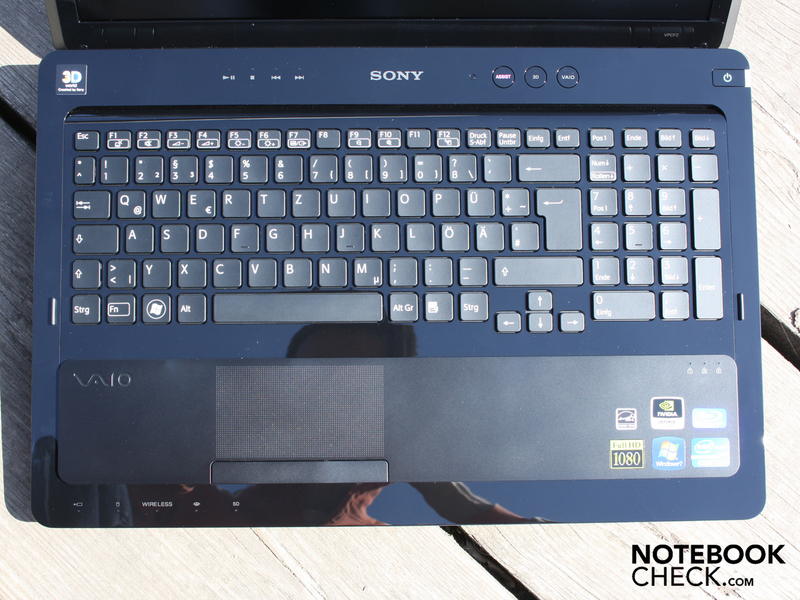 Sony has equipped the Vaio F21 with a very good keyboard. The layout and other characteristics are identical to the keyboards of the less expensive Vaio EB series. Only the rubber coating is new—making the keys slip-proof and keeping them from looking like greasy bacon strips after a few months (prevents the plastic from becoming "polished"). The room for the keyboard is well used, the arrow keys are separated with lots of space. All the keys are actually arched inward slightly (for better typing accuracy), although its hard to see. The keystrokes are firm across the board and their pressure point is easy-to-feel. The keys have a backlight and are clearly labeled with easy-to-read white typeface. The brightness sensor can automatically adjust the backlight brightness to suit the time of day or brightness of the room. The backlight can even remain off with enough ambient light—when set to do so. 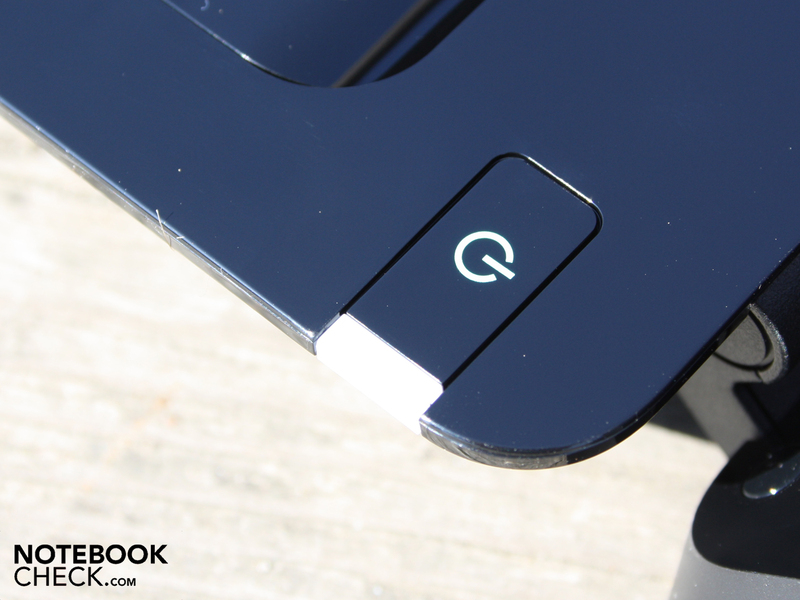 The 3D button above the keyboard turns the IR emitter for the shutter glasses on or off. 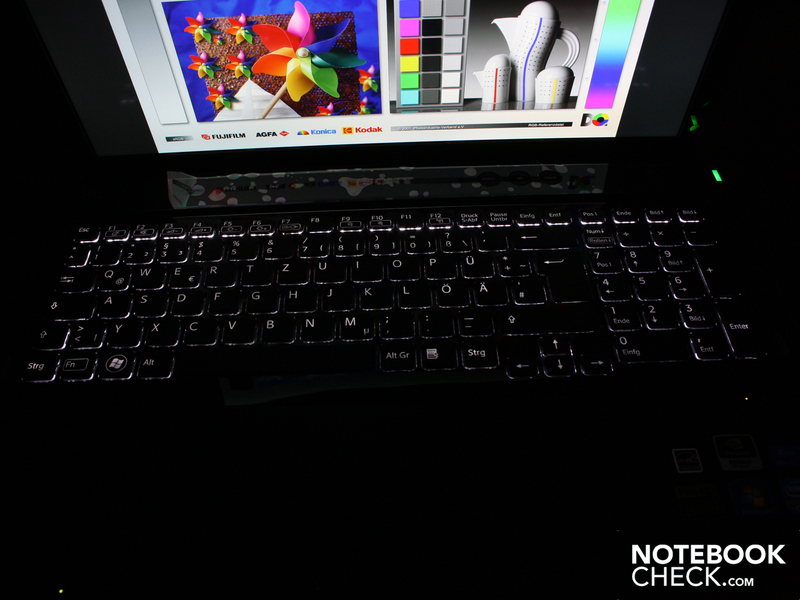 The button does not glow in the dark, so we had to first turn on the lights before watching a film or playing a game in addition to pressing the Assist or Vaio button next to it. The touchpad lies even with the raised palm rest. It's easy to feel out in the dark thanks to its textured surface. The roughness of the surface does take some getting used to, however. You can right and left click using a rocker-style single key. 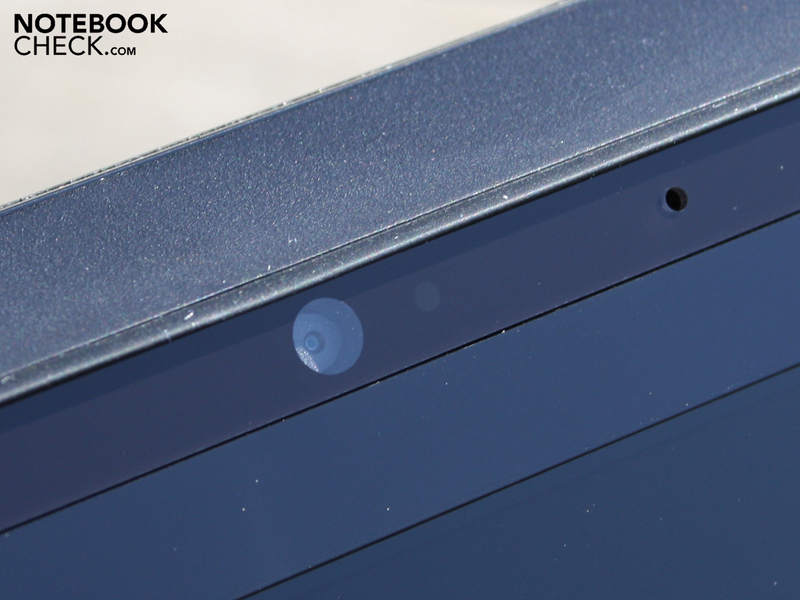 The single touchpad button has a moderate depression depth to it. It clicks firmly but quietly, leaving an overall good impression. 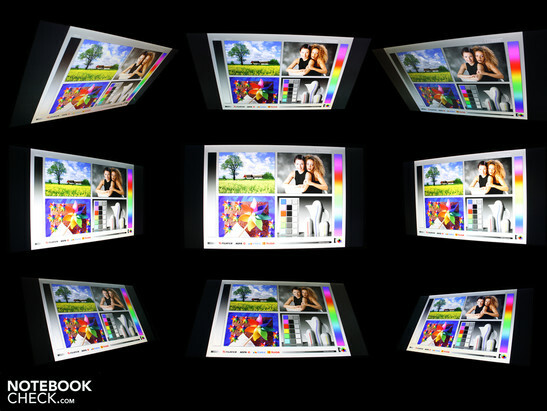 The full-HD display is pretty good in all its aspects but not quite state of the art (colors space, contrast). 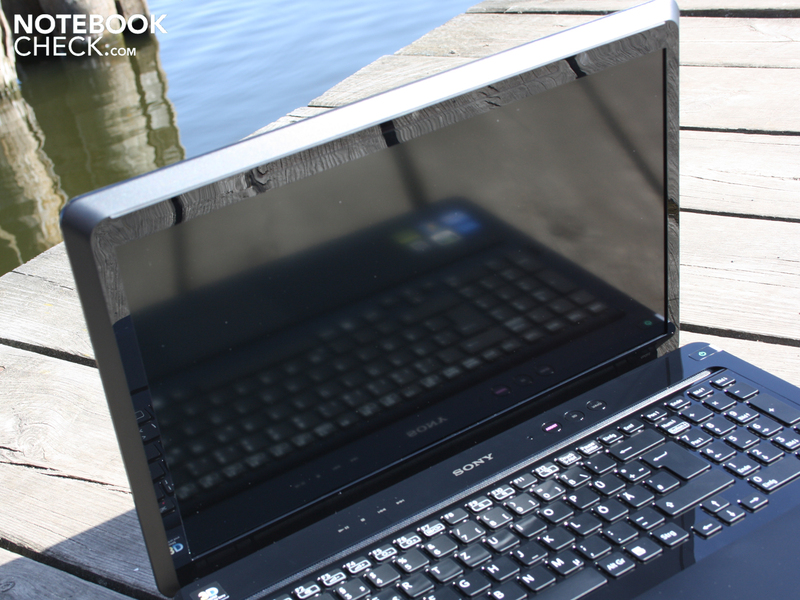 The Vaio F21 has resolution of 1,920 x 1,080 pixels (WUXGA). The screen is therefore really well suited for watching HD films (Blu-Ray burner). The high resolution paired with the good contrast ratio of 396:1, not to mention the non-reflective coating, makes this display particularly convenient for office work. The black value of 0.72 cd/m² is by far not the best we've seen, however (the smaller, the better). 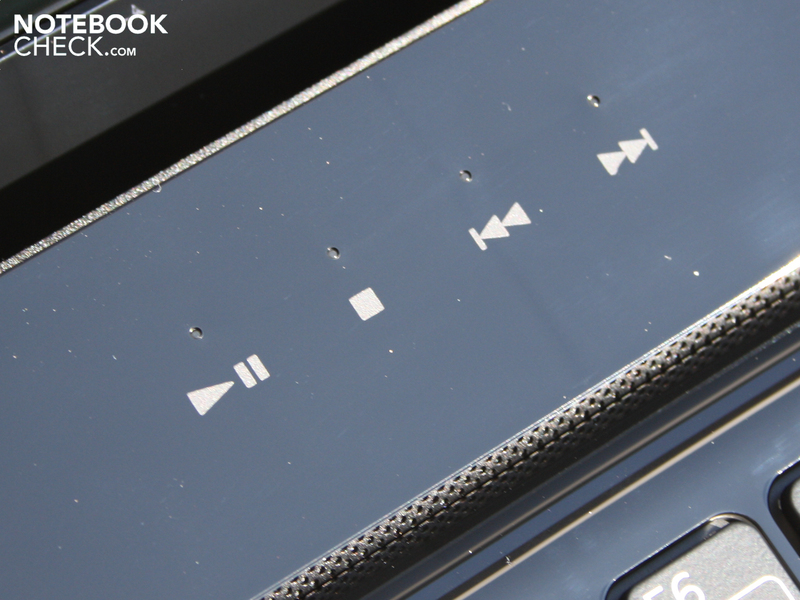 When watching Blu-Ray films, the corners of the screen were not jet black by a long shot. The greatest strong point of the display is its wide range of viewing angles. Upon investigation, we found the screen has a broad color space. sRGB (t) is completely covered, but not all of AdobeRGB. The comparably good full-HD consumer display in the Vaio EB4X can't quite render as many colors. 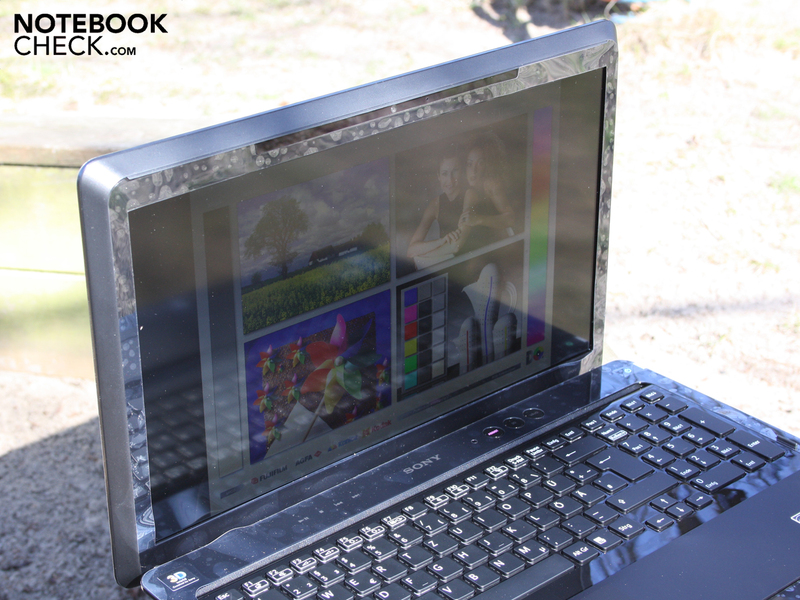 The Vaio Z13Z9E premium-grade subnotebook can display an even wider range of colors, though. The screen brightness averages out to 289 cd/m². 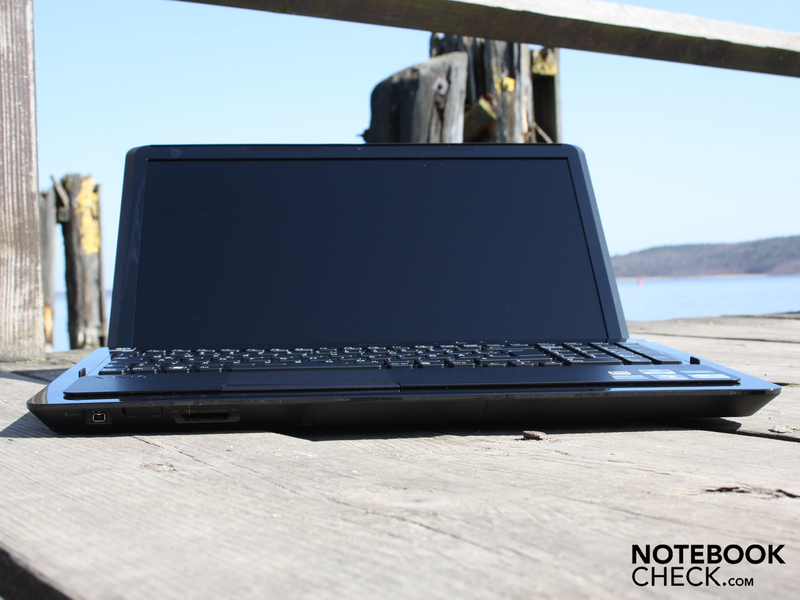 This is higher than most of the notebooks we've reviewed, which tend to come in between 180 and 230 cd/m². 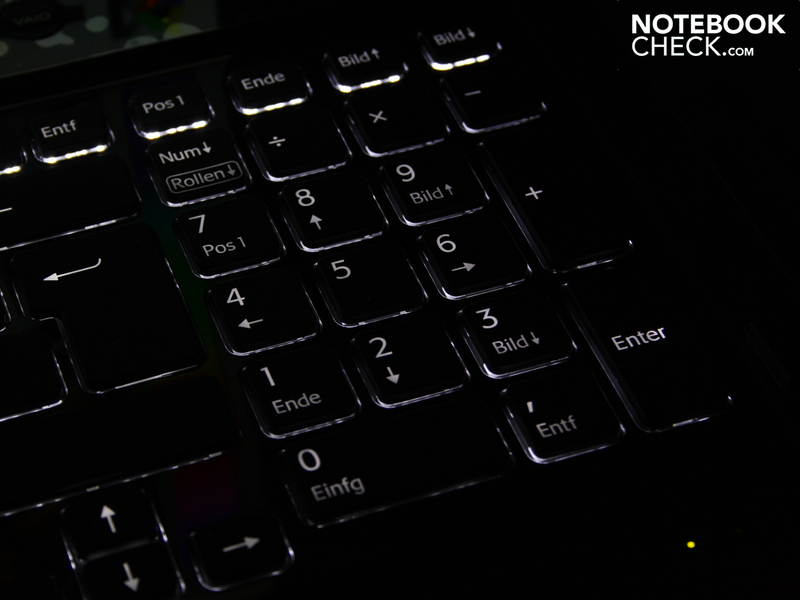 With the brightness turned all the way up, the brightest spot on the screen measures 312 cd/m². 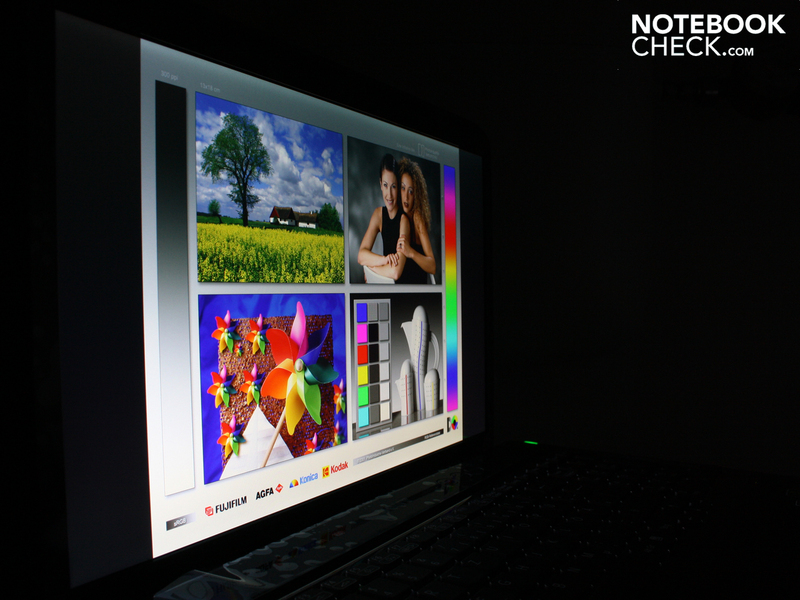 The difference in illumination among the different areas of the screen is, however, not visible to the naked eye (86% brightness distribution). Not that we were actually considering lugging the 3.17 kg giant to the beach. But thanks to the high screen brightness and its non-reflective coating, this is actually a viable option. Thanks to the matte screen, reflections don't end up eclipsing what's actually on the screen. 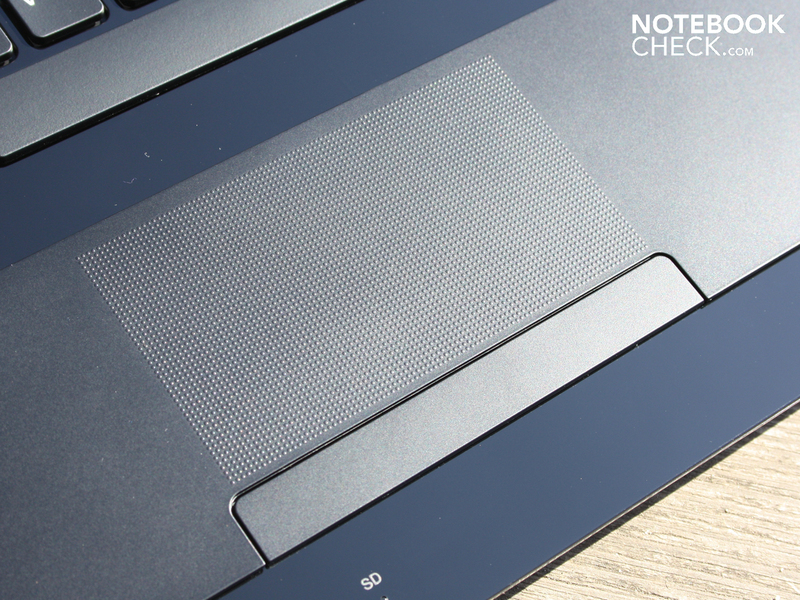 We've never seen viewing angles like this on notebook screen! No matter what angle we look at the screen from, the level of contrast doesn't drop nor is there any color inversion. Whether tilting the screen back and forth or looking from the side, the picture remains just about the same up to 85º away from the straight-ahead viewing angle. These numbers seem to indicate an IPS (in-plane switching) display. Typical TN (twisted nematic) displays dominate the consumer notebook market and can't manage to display an undistorted picture at viewing angles beyond 45º horizontally or 15º vertically. 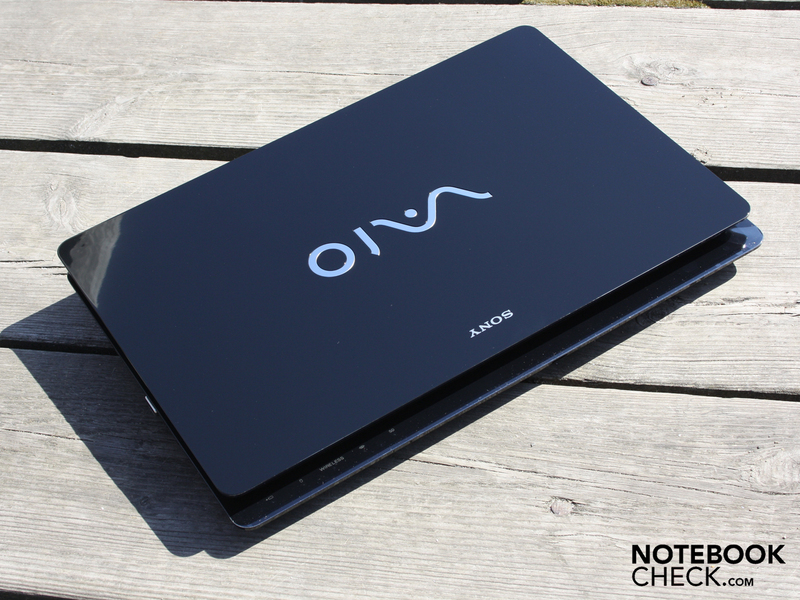 The screen of the Vaio F21 can, however, hold its own against a good external LCD monitor. IPS (also called MVA) comes with the downside of longer reaction times. A film buff friend of ours noticed some delay in the picture during scenes with quick motion. Us testers, though, didn't notice a thing. The quad-core CPU Core i7-2630QM running at a clock rate of 4 x 2.0 GHz (Turbo 2.9GHz) is a Sandy Bridge processor currently used in powerful multimedia and gaming laptops. The CPU is aided by 6 MB L3-cache. Turbo Boost 2.0 pushes performance further yet with its "Dynamic Range @ Turbo Frequency Limits": as long as the CPU is sufficiently cool, the Turbo Boost can even go beyond the above-named 2.9 GHz. The Hyper-Threading function is naturally on board. Therefore, the 45-watt CPU can simultaneously process up to 8 threads. The integrated graphics card, the HD Graphics 3000, always remains OFF (no Nvidia Optimus). The dedicated Geforce GT 540M, therefore, works alone at rendering all the graphics all the time. 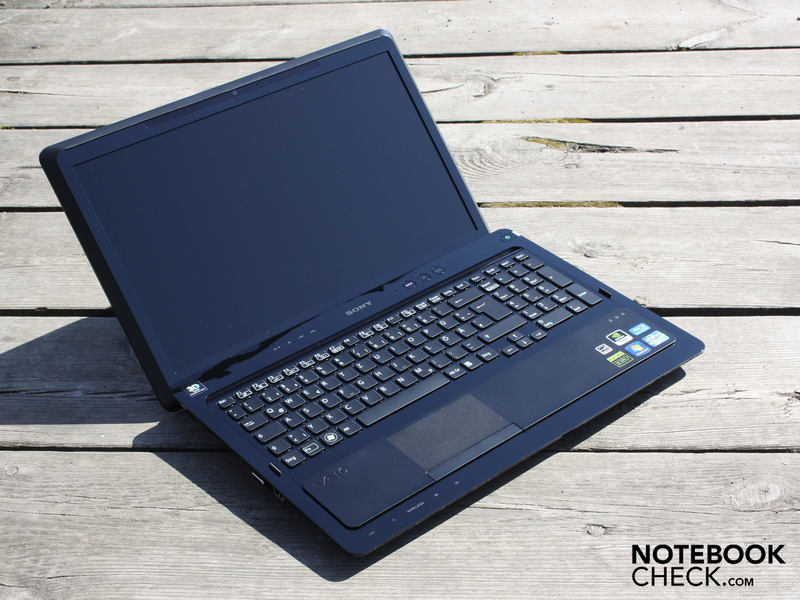 The F21 comes standard with 8,192 MB RAM (2x4096MB PC3-10600) and a 640GB Toshiba HDD. The multi-core benchmark WPrime pumps out some better results for the F21's processor than CPUs of the previous generation like the 720QM (483s) and the 740QM (427s). The fewer seconds, the better. Our 2630QM takes 316s to complete the benchmark sequence, about 25% faster than the 740QM. The 2630QM really shows who's boss in Cinebench R11.5 (Multi, 64 Bit) with 4.85 points. The 740QM (~3.1 points) trails a good deal behind (-33%). Only the 2011 i7-2820QM (5.4 points, 2.3-3.4GHz) can outdo the processor at hand (+14%). We now move on to CPU benchmarks testing qualities beyond the processor's sheer speed. The PCMark Vantage benchmark awards our fair CPU 7,312 points, which is expected of a processor like this. 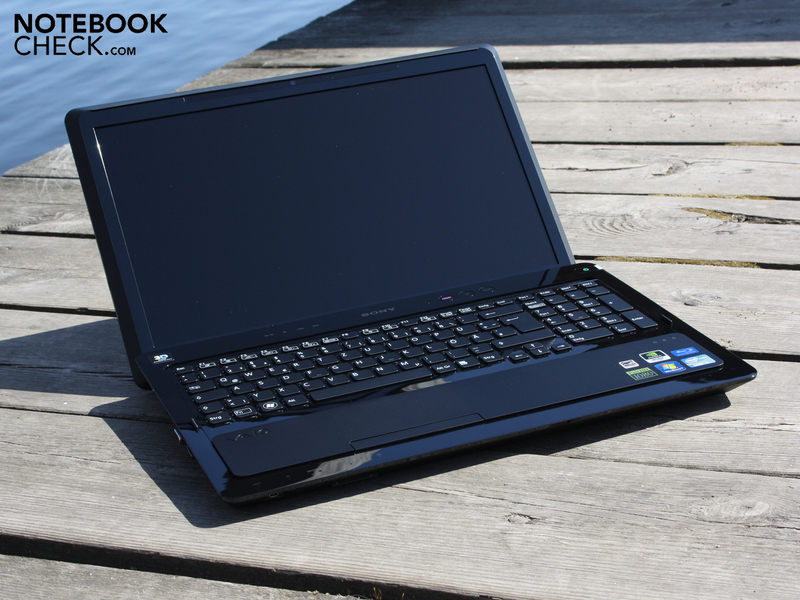 Comparatively, the Aspire 7750G with the same processor earns 7,402 points. 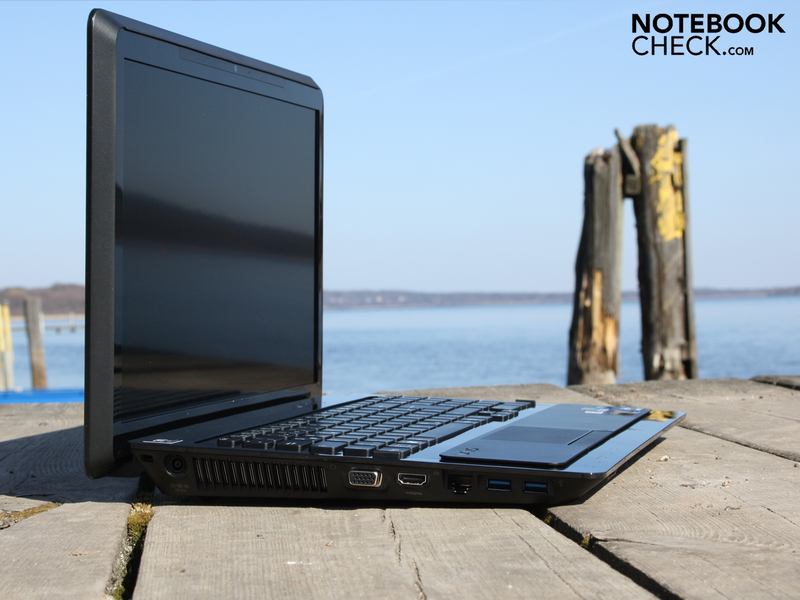 Only notebooks equipped with an SSD like the Alienware M17x R3 (GTX 460M, i7-2630QM) or the XMG A701 (identical), manage substantially higher scores (12,700 / 14,000). HD Tune (57 MB/s Read Rate) and Crystal Disk Mark 3.0 (89 MB/s Read Rate) attest to the fair-to-good transfer rates of the Toshiba HDD (640 GB) at hand. You might notice the Crystal Disk Mark 3.0 score is considerably higher—this can at least partly be explained by the different test routine this benchmark uses. The HDD score in PCMark Vantage gives it a very good 4,293 points (decent for 7200 RPM), which indicates the Crystal Disk Mark result is probably closer to the truth. The GeForce GT 540M (1,024 MB DDR3) is among Nvidia's mid grade graphics cards. The Fermi chip supports DirectX 11 as well as GDDR5 memory. As usual, 1,024MB DDR3 video memory is on board. It's clock rated at 672/900 MHz (core/memory). In 3DMark2006 (1,280x1,024) the GPU earns 8,318 points. The Radeon HD 6850M manages to top the Nvidia card when working with the same memory type at around 9,700 points. As far as mid-grade Radeon GPUs go, only the HD 6550 and 6650 (~7,515 points) fall (just) short of the Nvidia card. The 3DMark Vantage score (P4589) places the GT 540M far ahead of the HD 6550M (P3700). 3DMark 11 awards the Nvidia card 1,033 performance points. Here, the HD 6550M (P1107) and even the older HD 5650 (P1024) come out ahead. 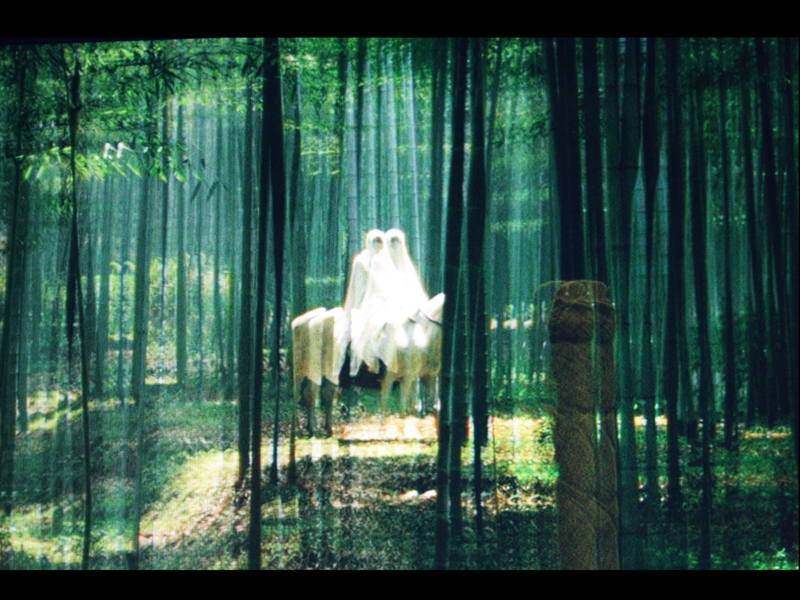 The stereoscopic 3D picture is rendered by the graphics card. The high power consumption level in 3D mode is the reason it can only work when the laptop's plugged in. Since there's a known reduction in performance amounting to about 50% with 3D Vision activated, we won't get into an extensive discussion of the results of the three games tested in 3D mode. 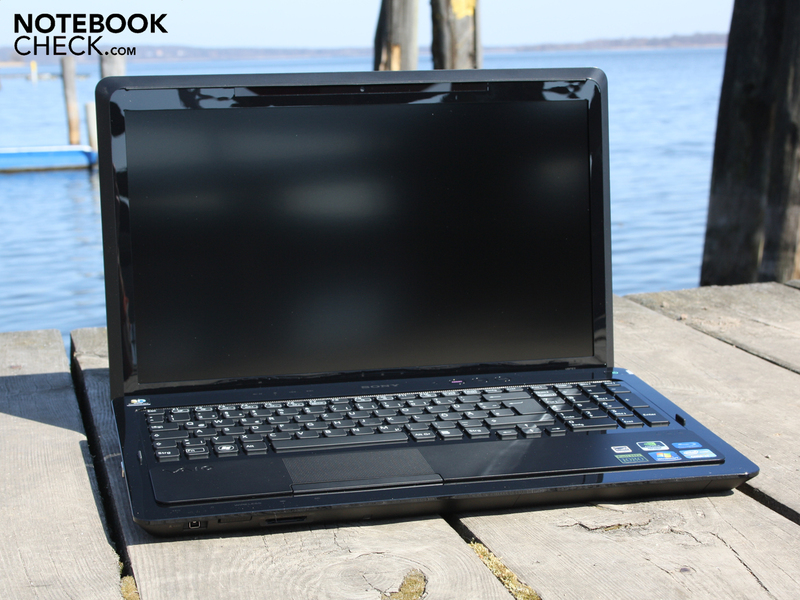 For in-depth comparisons, see the Nvidia 3D Vision article and the Review Aspire 5745DG. The scores mentioned in the "Verdict: Gaming" paragraph were measured with 3D mode OFF. In short—in the column marked "high"—with 3D mode on the F21 managed only low refresh rates: 15/15.5/15.5 FPS (BFBC2, SC2, Mafia2). Those who'd like to have a look the 3D mode's reduced frame rates in action can check out this YouTube clip. During the 3DMarks 2006 benchmark, we periodically switched the 3D mode on and off. The picture didn't look very 3D, however. The Geforce GT 540M proves itself rather adept at running recent titles as long as the user neither chooses the native resolution of 1,920 x 1,080 pixels nor turns the 3D mode on. The GT 540M turns out to be too weak for high detail settings beyond the WXGA resolution, especially considering its DDR3 video memory. 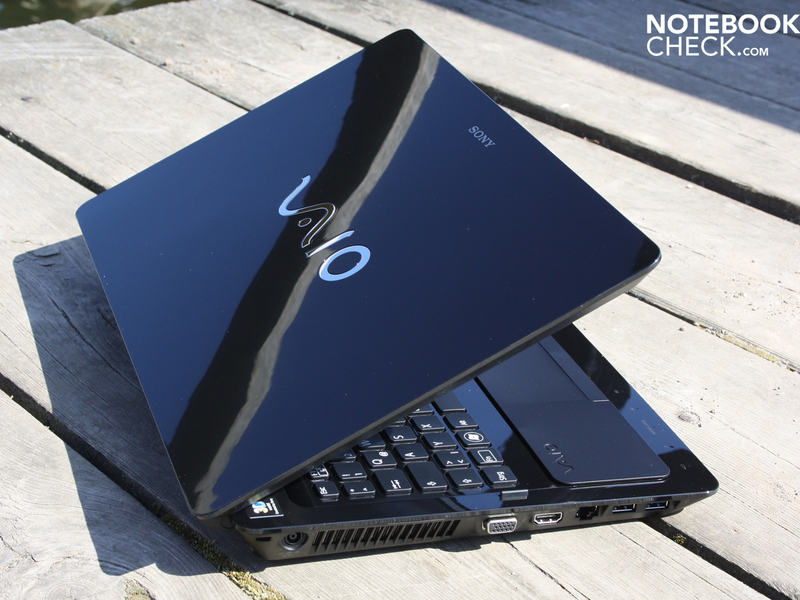 A better choice for the 3D Vaio would have been the GTX 460M or the GT 555M. According to Sony, however, no such update is in the works so far. The Vaio F21 turns out be rather quiet when running. 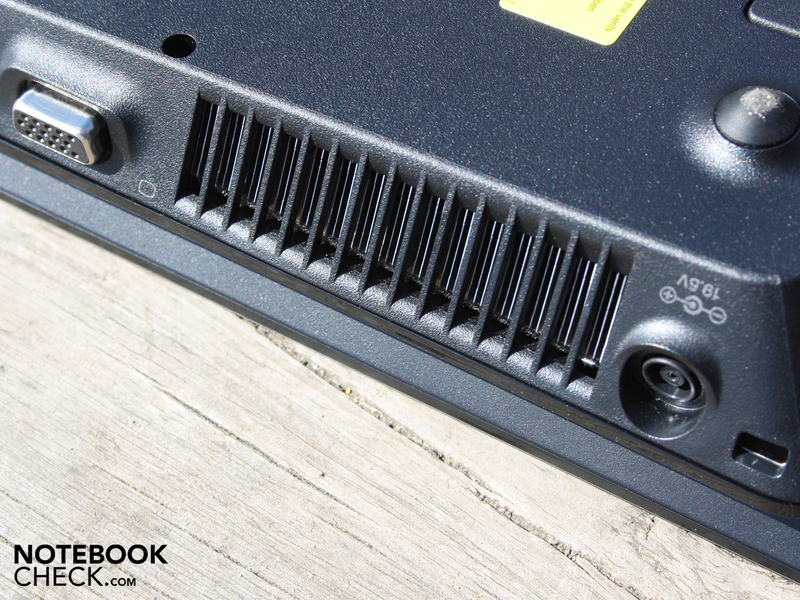 When idle, the laptop always remains slightly audible, the fan never turns off completely. This is not a problem since the noise level of 31.6 dB(A) produced by the fan here is the same as produced by the 7200 RPM hard drive—which is constantly spinning and humming. 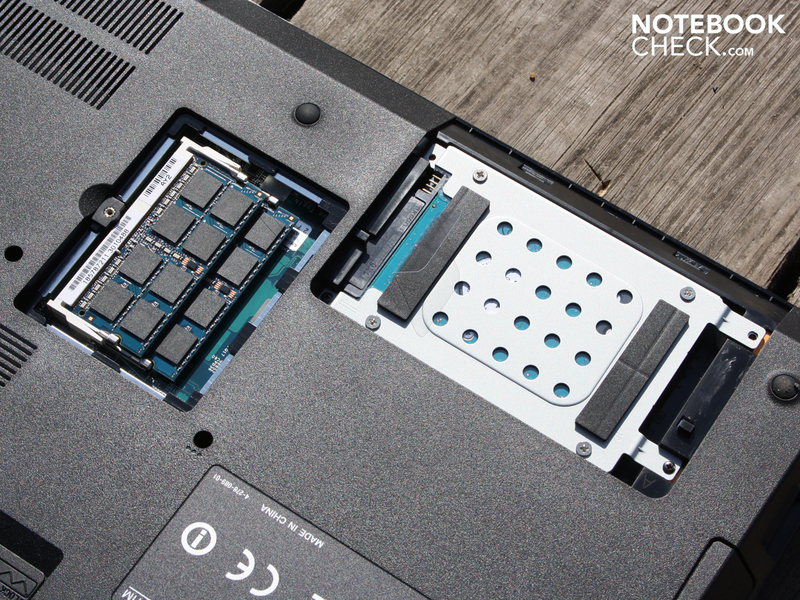 The HDD remains just as quiet even when the read and write head is retrieving or writing data. When playing a DVD, the Blu-Ray drive makes its presence known with a bearable 35 dB(A). With rising CPU/GPU stress, the fan slowly increases its rotational speed. This means the fan doesn't all of a sudden get a lot louder, catch you off-guard and scare the bejesus out of you. High stress on the graphics card (here in 3DMark2006) doesn't bring the noise level higher than 36.3 dB(A). Only in the stress test (CPU & GPU 100% load) did we measure 46 dB(A). After ending the test, the noise level quickly dropped back down to 32.5 dB(A) within 30 seconds. The constantly-spinning fan provides for an always-cool case when idle and a lukewarm case under heavy use. The CPU temperature reaches a max of 79 ºC (GPU 60ºC) during the several-hour-long stress test using Prime95 and Furmark—which goes to show that the cooling system can easily handle the task of keeping the case and hardware nice and frosty. (+) In idle usage, the average temperature for the upper side is 21.9 °C / 71 F, compared to the device average of 32.9 °C / 91 F.
The laptop's stereo speakers are found above the keyboard. The sound produced emphasizes highs and mids while the bass seems to be completely absent. The options available in the Control Center like "S-Force Front Surround" (wide range of sound, source not locatable), "DolbyPC" (emphasizes mids) and "no effects" (plain sound, emphasizes mids) don't serve to bring the bass any more into the picture. Nevertheless, these settings do allow you to adjust the audio to your particular preferences. The battery life in various scenarios proves itself to really be quite short. 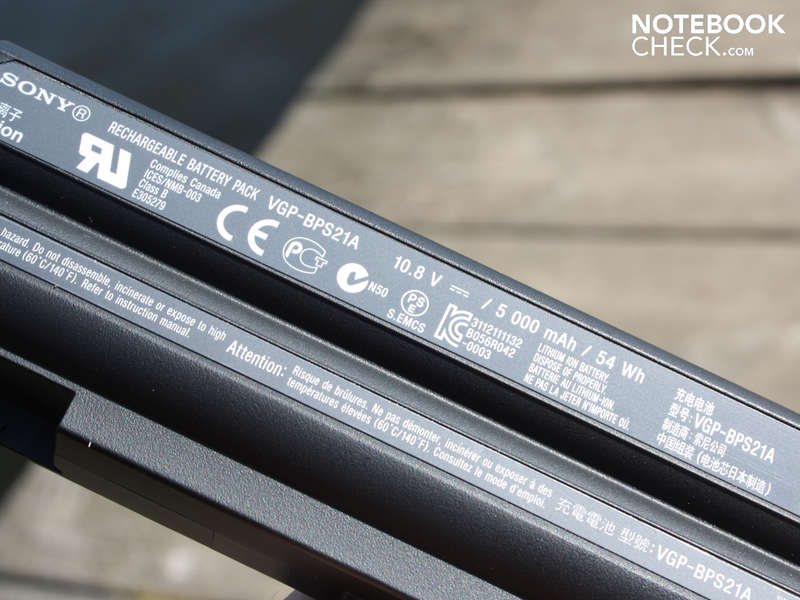 The 54Wh lithium-ion battery (VGP-BPS21A, 5000mAh) is by no means a weak one, but the high power consumption level of the laptop takes a toll on the battery life. After a mere 2 hours 28 minutes of browsing the internet via Wifi, the battery dies. During the wifi test, the screen brightness was set to moderate 100 cd/m². 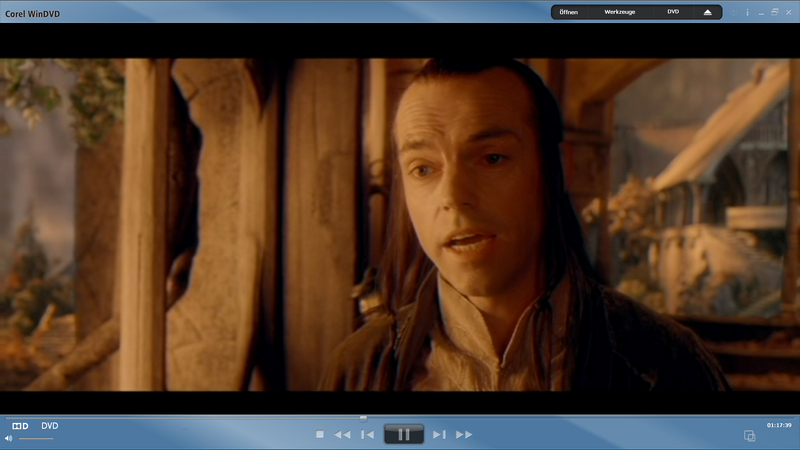 The DVD Lord of the Rings could not be played all the way through, stopping short at 1 hour 58 minutes. When playing a Blu-Ray, the battery life dwindles down to 1 hour 49 minutes (3D cannot be activated on battery power). The 16" F21 is hardly energy-efficient. It requires a minimum of 22 to 35 watts (idle). Even for laptop equipped with a quad-core CPU, this is a very high level of power consumption (battery removed!) The Alienware M17X R3 ate up only between 17 and 26 watts when idle. The Acer Aspire 7750G needed 13-19 watts. Both of these have the exact same processor and a larger form factor. While running the 3DMarks2006 benchmark, the energy consumption dropped by about 5 watts when we turned on 3D mode. 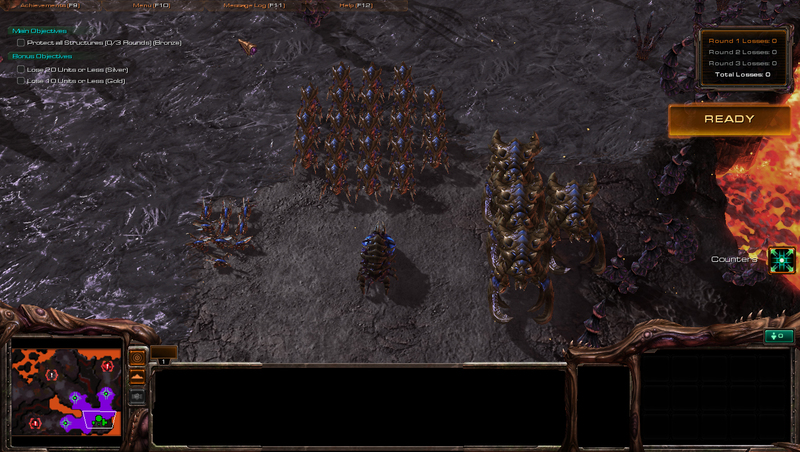 The frame rate dropped right along with it (from 30 fps to 16 fps, for example). 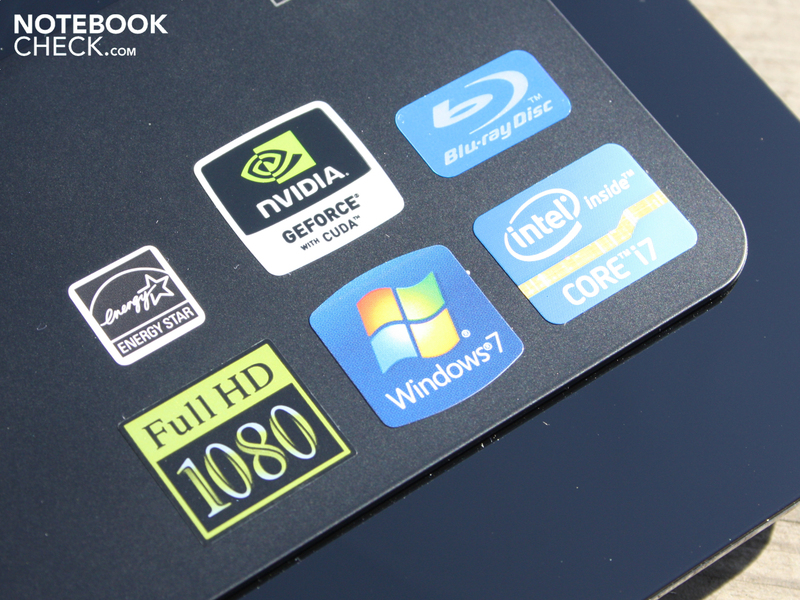 Optimally-functioning entertainment laptop with poor case craftsmanship that's priced too high. That's the 16" Vaio VPC-F21Z1E/BI in a nutshell. The 3D Vision technology from Nvidia works perfectly at the press of a button with the shutter glasses on. Whether its a game, a DVD or an ordinary Blu-Ray, the stereoscopic 3D picture looks perfect and the dimming that plagued previous 3D laptops has been reduced to nearly non-existent. The high-quality full-HD screen offers an incredible range of viewing angles with and without the 3D glasses (vertically as well as horizontally), not to mention high contrast and a broad color space (>100% sRGB). 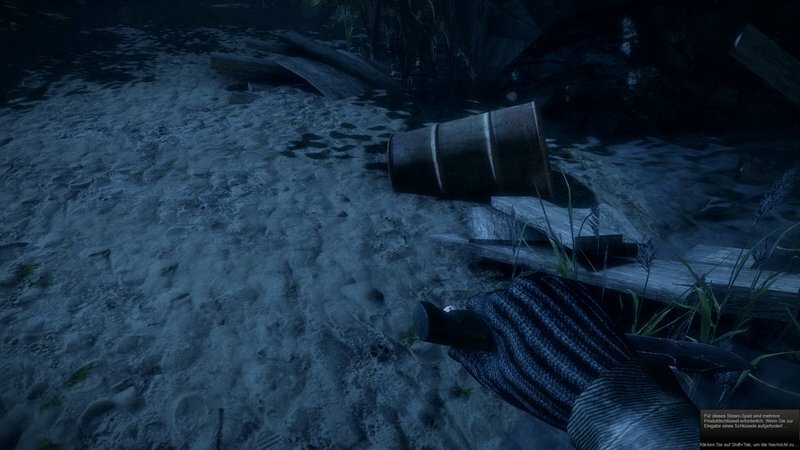 Recent games played in high resolutions or in 3D mode will only disappoint. The Geforce GT 540M manages to smoothly run typical games in a WXGA resolution and high detail settings. But as soon as 3D mode is turned on, the frame rate drops by about half. Those familiar with Nvidia 3D Vision shouldn't be surprised by this. To play games with high graphics settings in 3D, you need at least a GeForce GTX 460M (1,536 MB GDDR5). 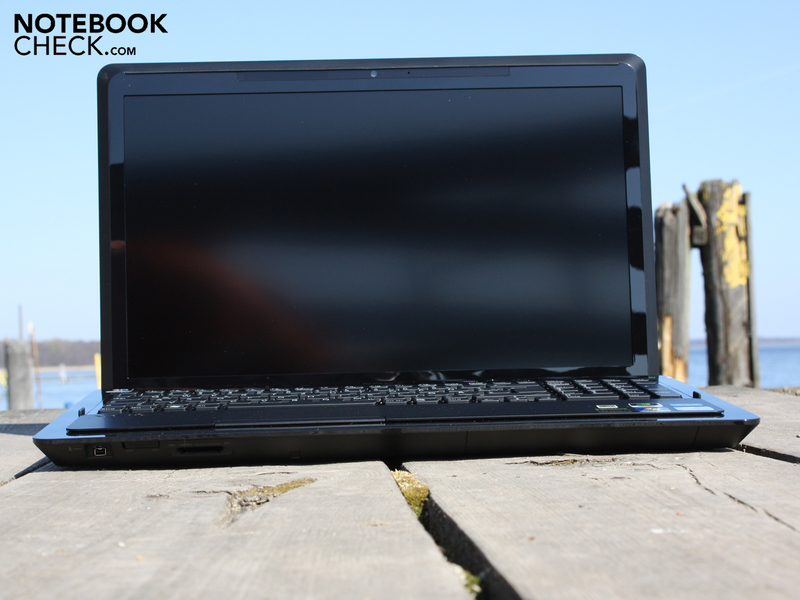 The GTX 460M is on board in the Asus 3D Book G73SW-91084V (starting at 1,899 Euro). 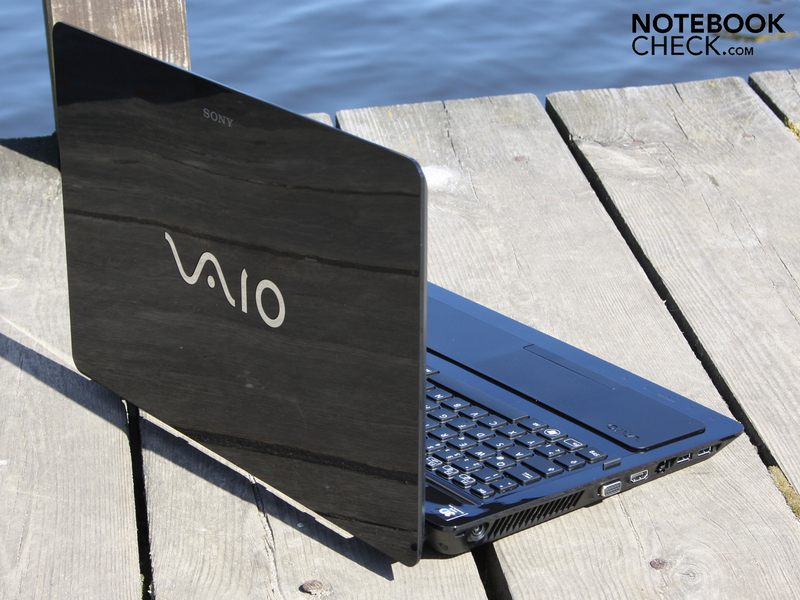 The biggest weak point is the case craftsmanship, which just doesn't fit the look or feel of a Vaio going for 1,930 Euro. The plastic base unit is sturdy but the thick display lid is not. The glossy finish around the keyboard attracts dirt and smudges from everywhere. 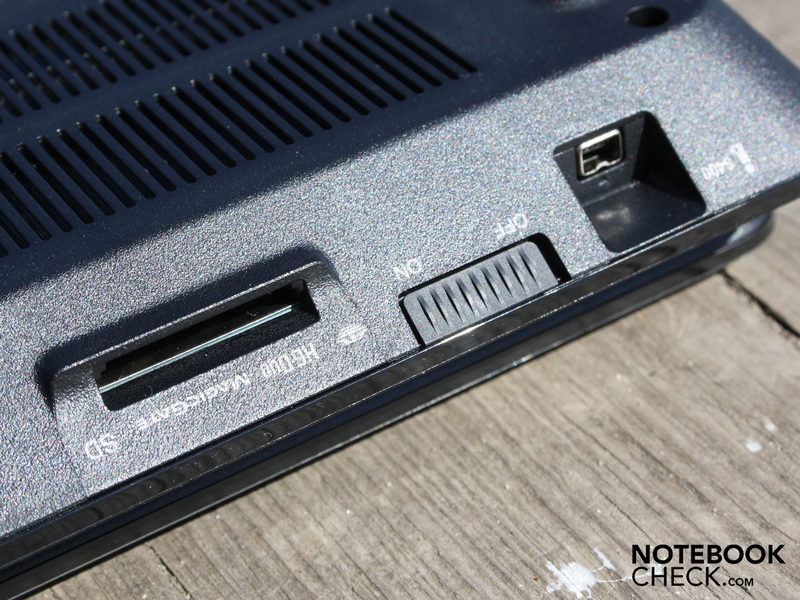 The VGA port juts out oddly from the edge of the laptop and the area along the base plate below the Blu-Ray burner dents easily. We're assuming that the price will fall considerably in the coming months. Both Sony and retailers will notice that mid-grade hardware at a premium-grade price will make the F21 a fixture in stores. From the time of our hands-on preview of the F21 (24.3.2011) to the time this article was published (7.4.2011), the market price already dropped by 50 Euro (14 days). 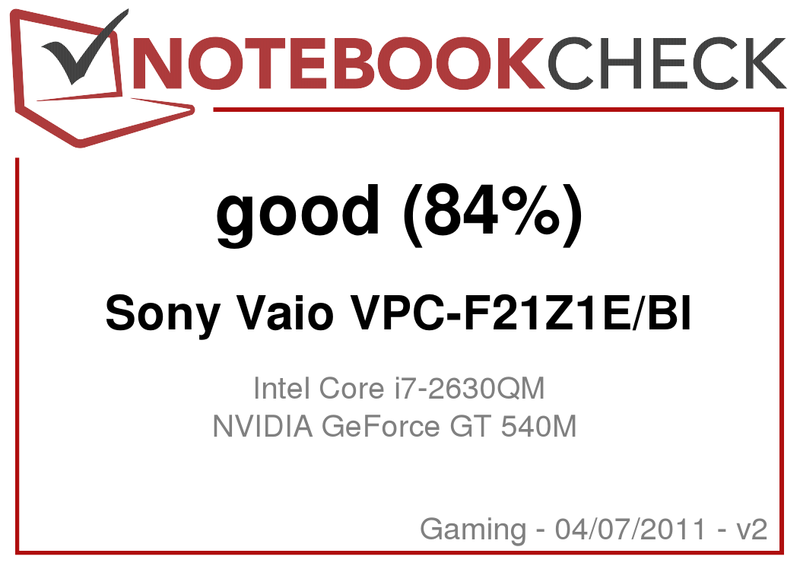 This is justified considering that aside from 3D Vision and a perfect full-HD screen, the Vaio VPC-F21Z1E/BI doesn't have much more to offer than, say, a Packard Bell EASYNOTE TS11-HR-158GE with the same CPU/GPU combination (Core i7-2630QM, Geforce GT 540M). But the Packard Bell only costs 749 Euro. Sony Vaio VPC-F21Z1E/BI 3D-Ready: Nice 3D effect on a first-rate display, but GPU too weak for games in 3D. The light sensor turns it on/off and adjusts its brightness. 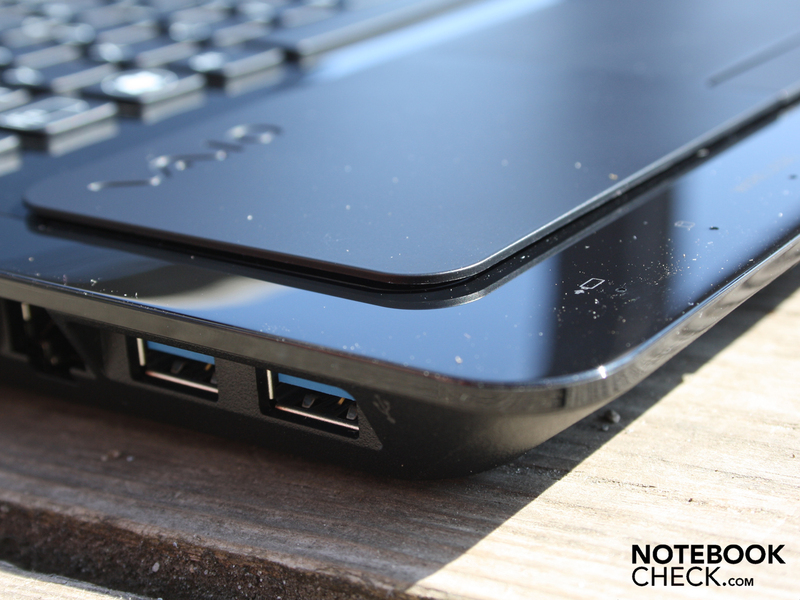 The ports look a bit strange jutting out from the slanty sides of the laptop. The RAM and hard drive can be accessed via hatches on the base plate. The battery can be removed by rolling it out of the case. 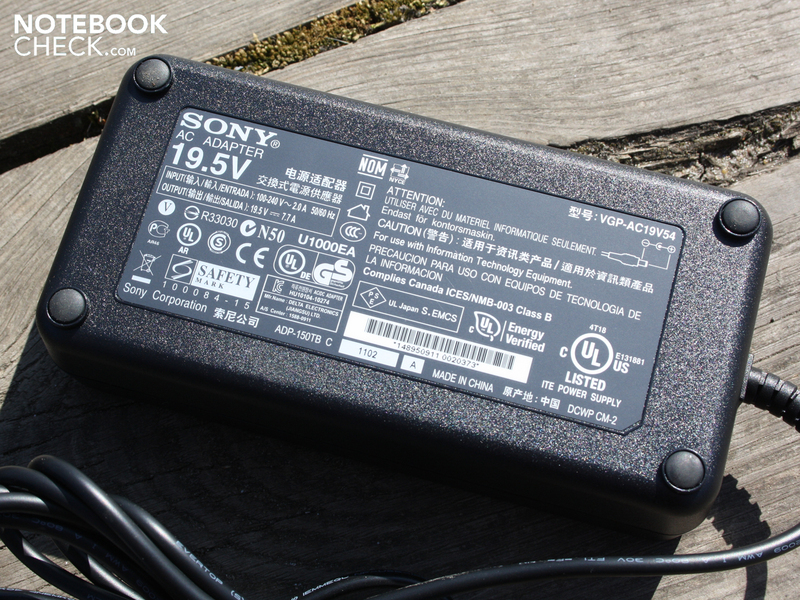 The battery has capacity of 54 Wh, allowing for 2-2.5 hours on battery power. A FireWire port (i-Link S400) is found along the front edge. it lacks high-quality materials like polished aluminum. The bright and high-contrast display scores it some points, on the other hand. Sony calls it the VAIO Premium LCD, which hints at it being a screen with IPS. It's impressive how colors retail their particular shade even under sharp viewing angles. 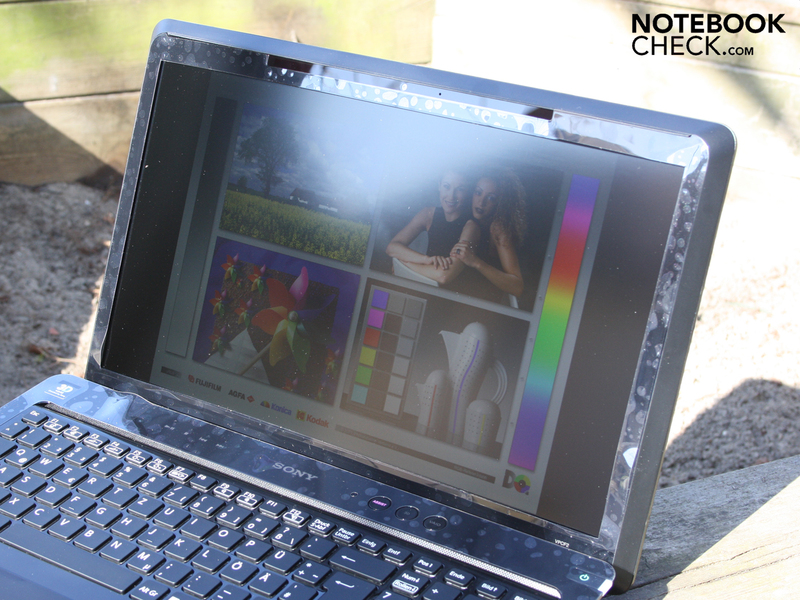 Thanks to the matte screen, the notebook is usable even outdoors. As you'd expect from its price, the resolution is WUXGA (1920x1080). The thick power supply weighs 668 grams. The powerful laptop consumes up to 120W under extreme use. This makes the 140-watt power supply necessary. This acts to minimize contact with the surrounding glossy surface. The palm rest is raised above the surrounding surface. The webcam is virtually invisible. ... to the laptop world in the past two years. 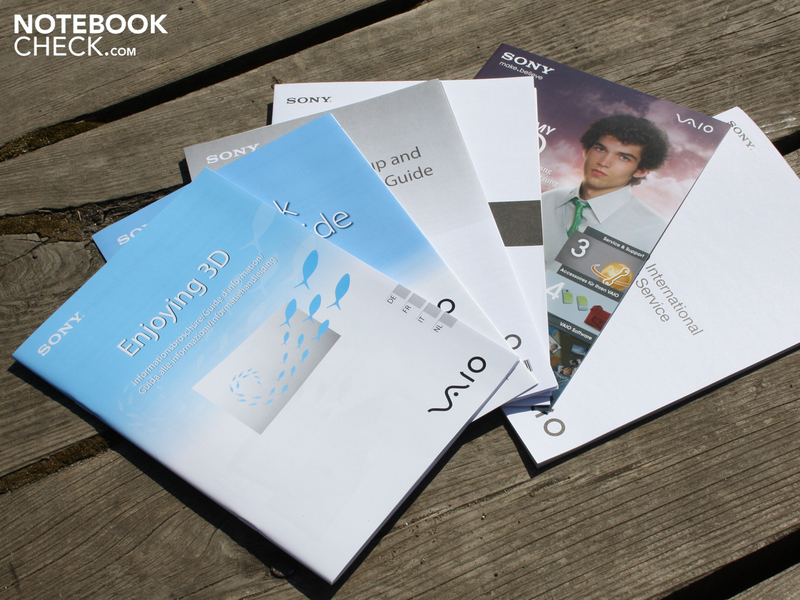 Sony didn't just want to slap together just any 3D notebook. ...is by no means long forgotten. The Nvidia Vision technology here with active shutter glasses is well-engineered. The signal emitter is found right on the display frame of the laptop (activates shutters). 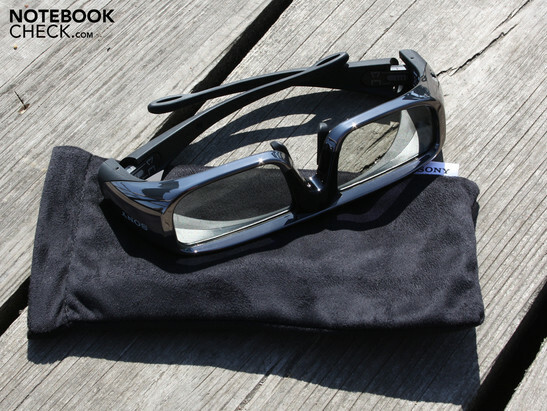 The glasses have a battery and fit over another pair of glasses (the very same as used for the 3D Bravia TV). 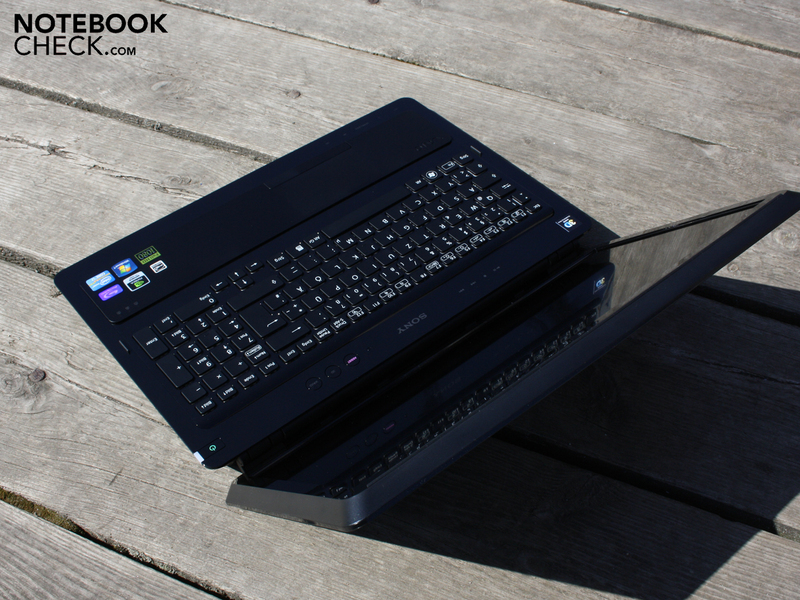 The Vaio F21 has a sleek and modern design. The high-gloss display lid attracts dust and fingerprint marks. Scratches pop up very easily. ...(special functions and 3D effects button). although it's thickness would lead you to believe otherwise. The hinges do cling tightly to the base unit, though. 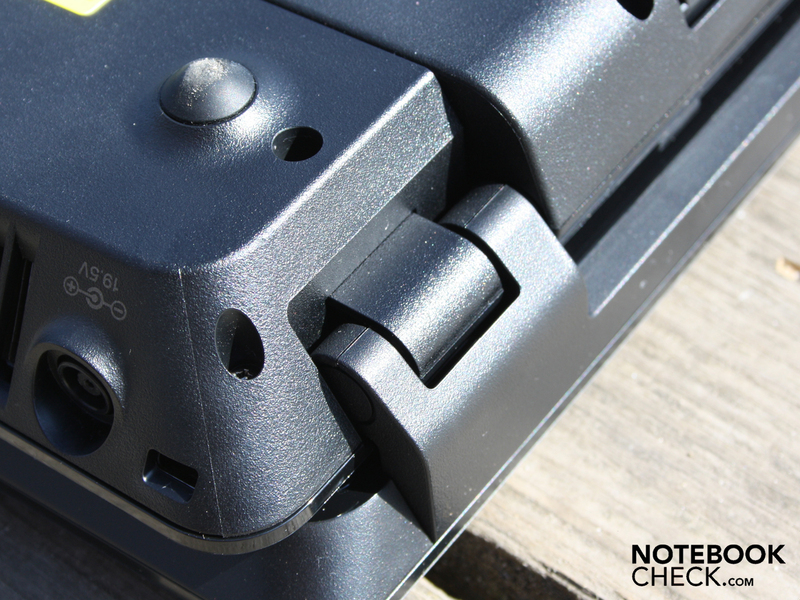 The all-black design conceals the details of the base unit's surface (power button). Premium grade or not, no recovery disc is included. The bright screen with vivid colors and and a broad range of viewing angles. 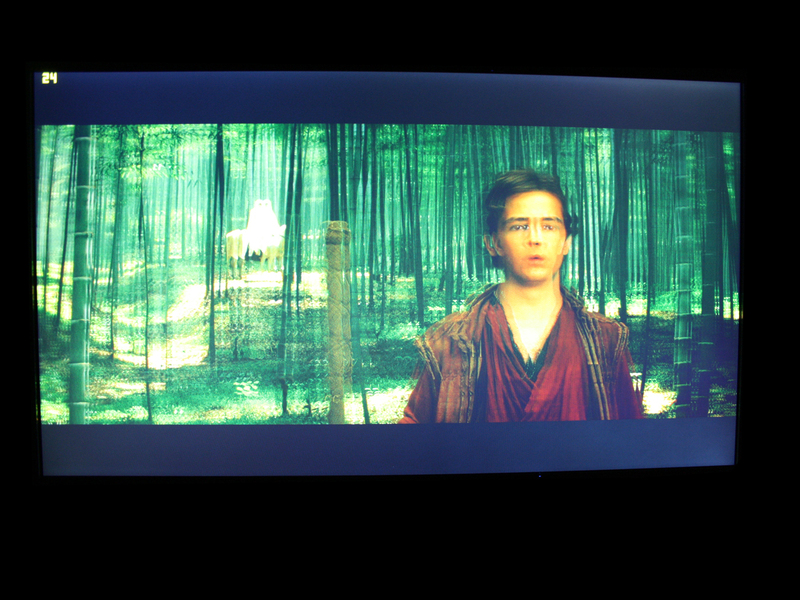 3D effects at the touch of a button, even for normal DVDs and Blu-Ray films. 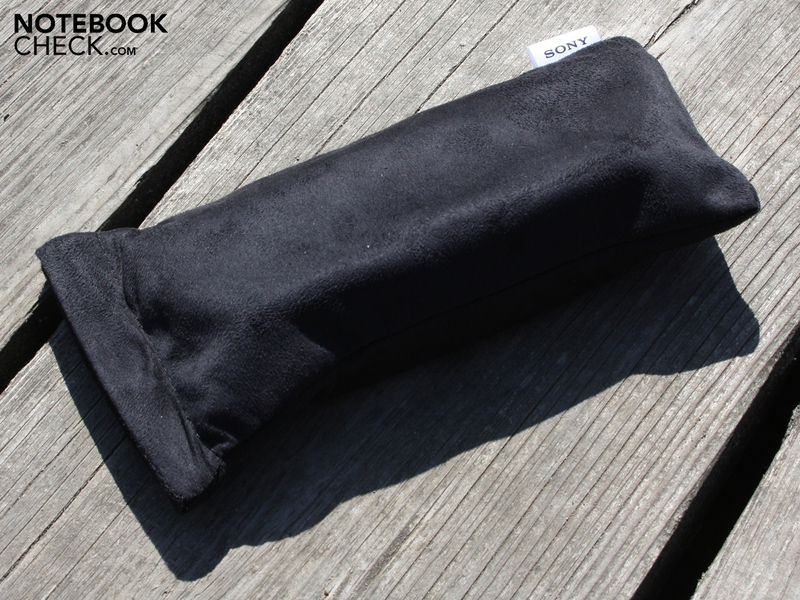 A matte case with the craftsmanship of the F11, F12 and F13 models. A more powerful GPU so that games wouldn't run so choppy in 3D. The viewing angles: even when tilted back or forward to a sharp viewing angle, there's a hardly any loss in contrast perceived. Acer Aspire 5745DG: starting at 700 Euro, but little GPU power; Asus G73SW: higher contrast, GTX 460M; HP Envy 17-1190eg: vivid color screen; Dell XPS 17 3D; Alienware M17x R3 3D: quiet and cool to the touch.